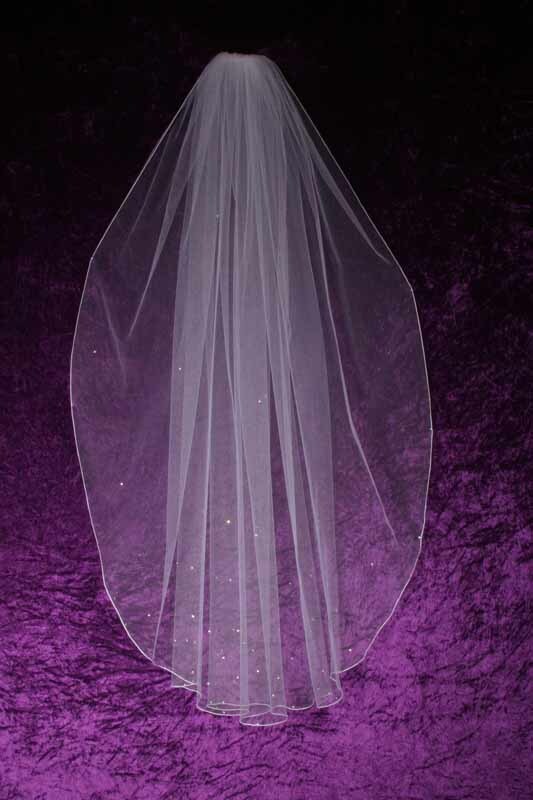 The examples show one length and one or two layers but you can add as many layers you need to complete your theme and dream. 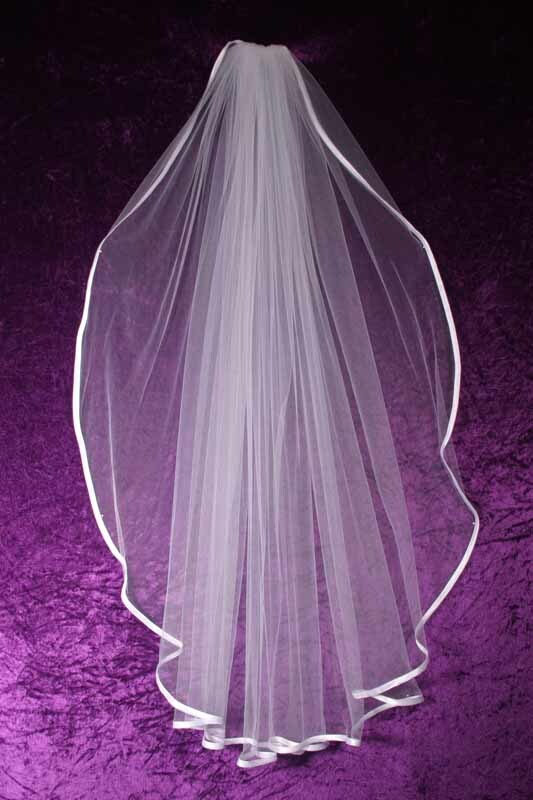 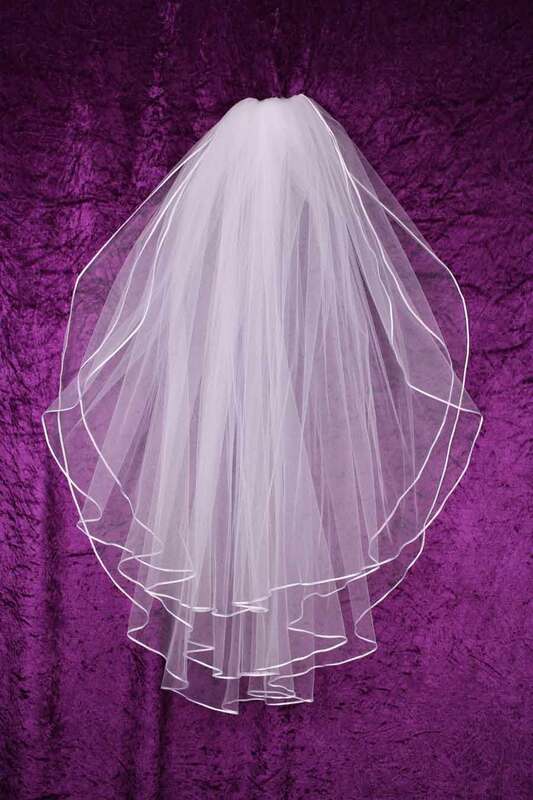 Please see our page types of veil edges for more details and Veils Marketplace (in Portfolio) for more veil designs. 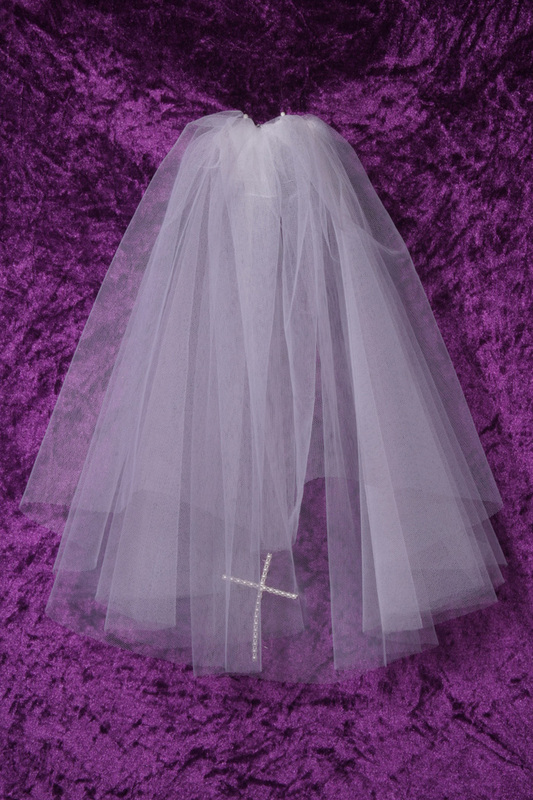 Two layer pencil edge with diamantes and pearls. 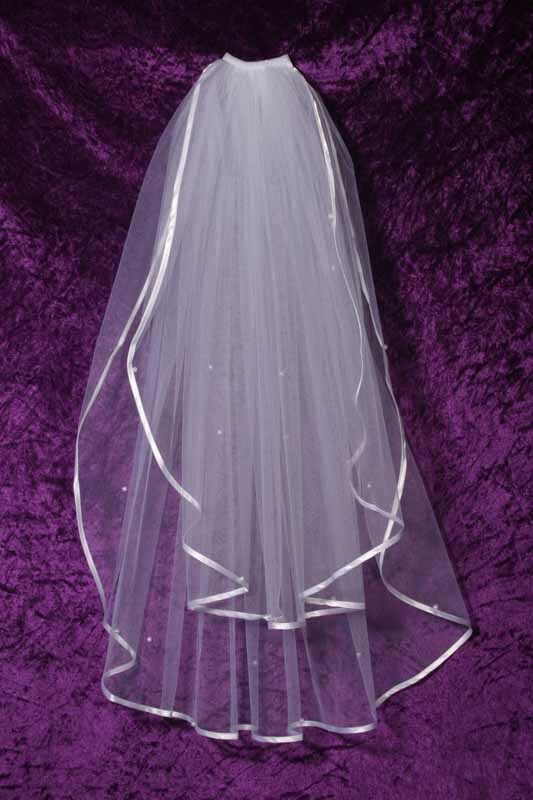 A cut edge design with two rows of clear diamontes. 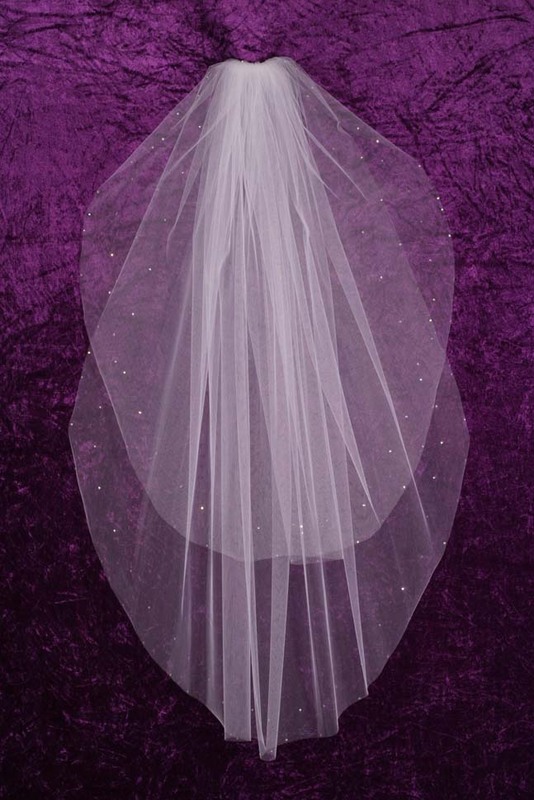 72″ wide and fully gathered pencil edged veil. 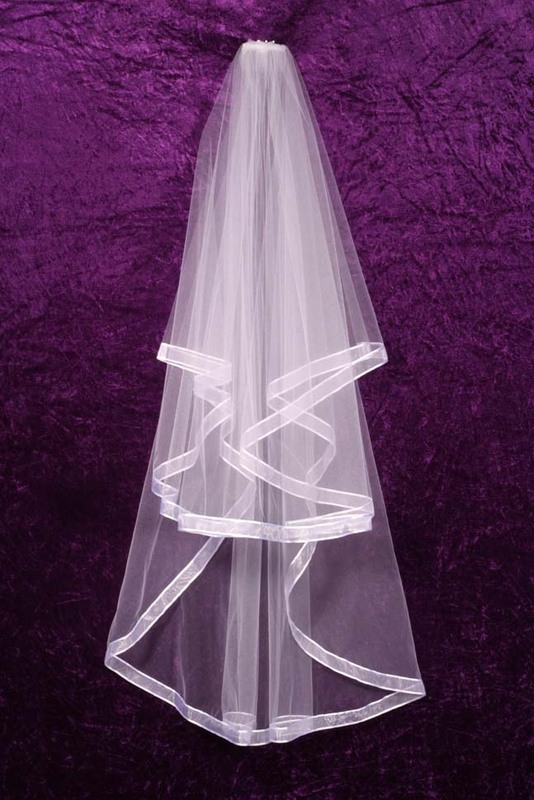 A simple sheer ribbon edged design. 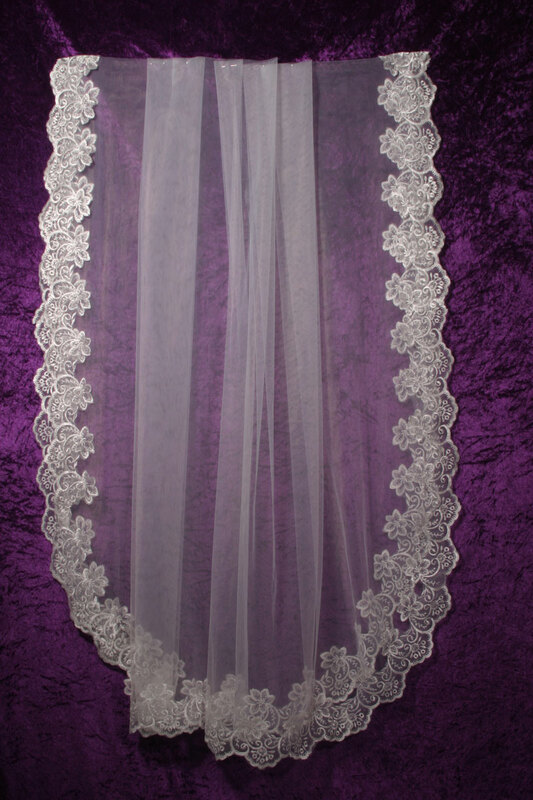 Mantilla veil edged in Guipure style lace. 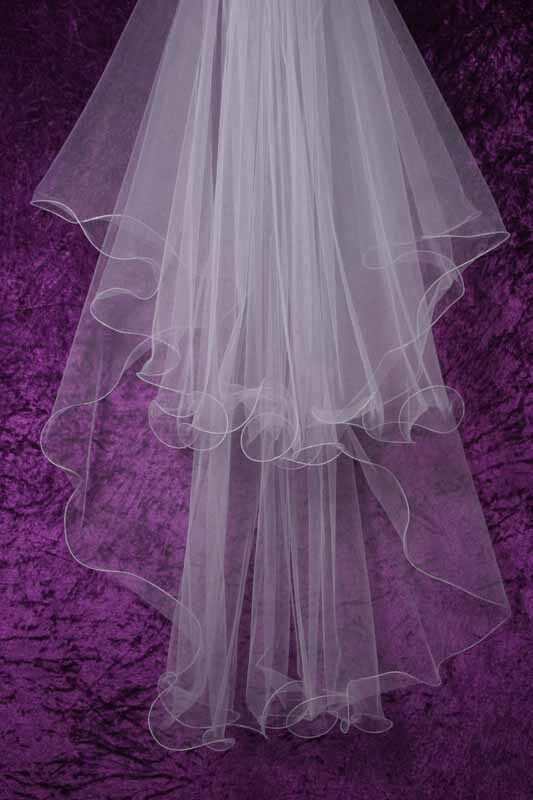 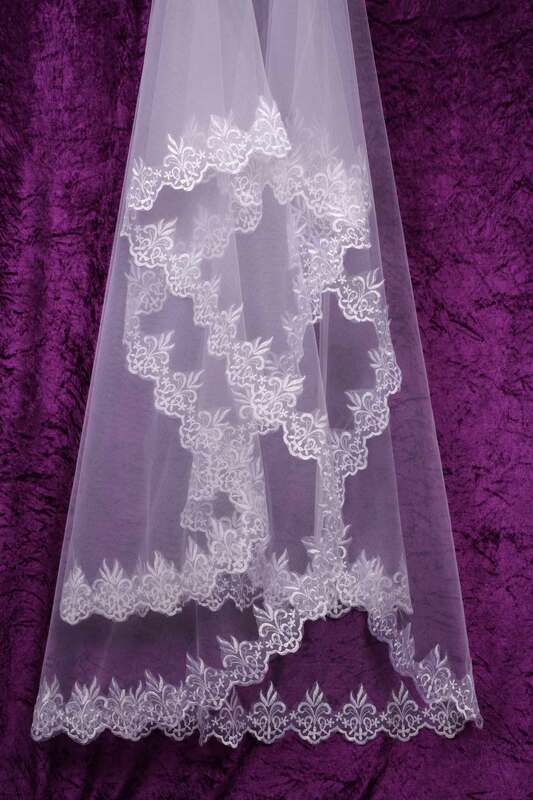 Mantilla veil edged in Belize style lace. 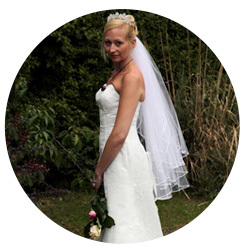 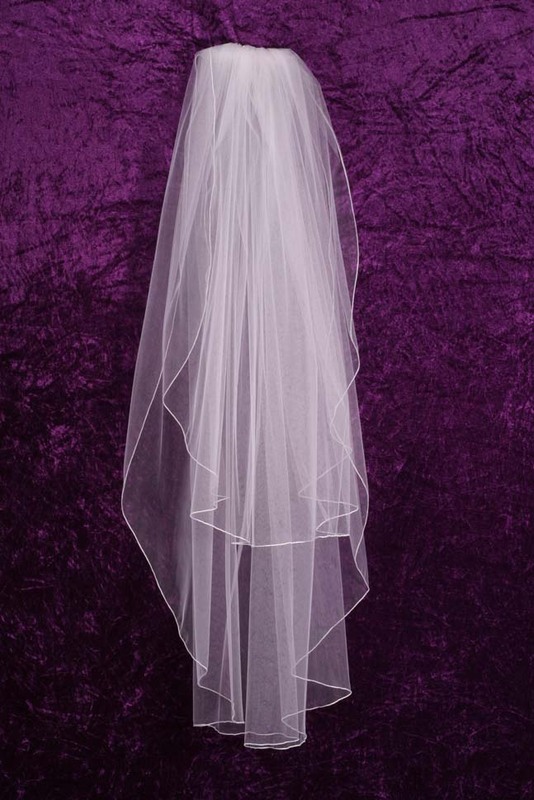 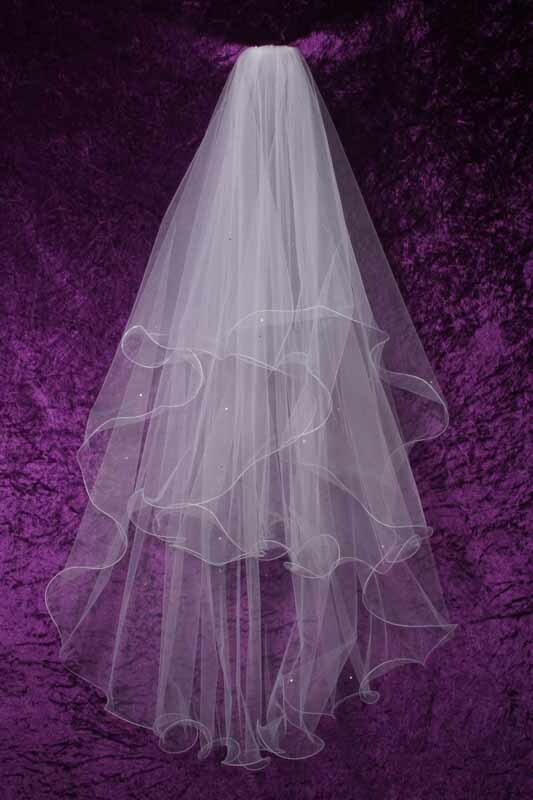 Plain cut edge shoulder length veil. 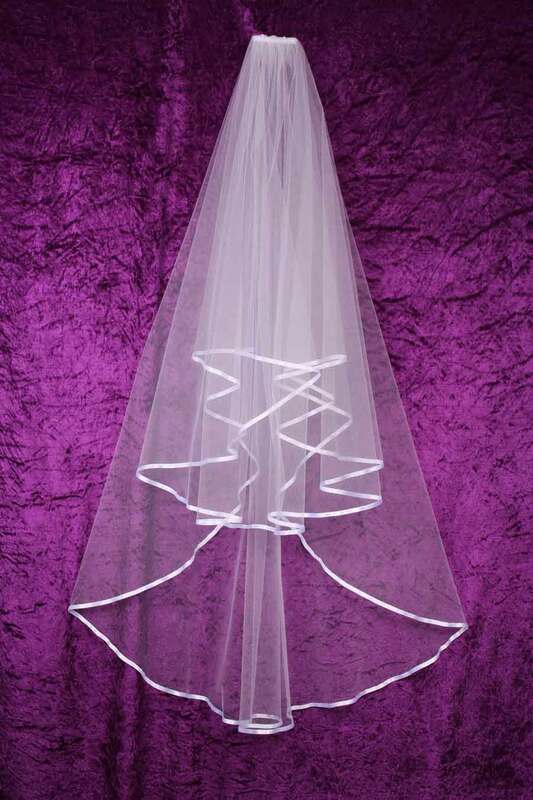 Two layer short Blusher veil with cut edge. 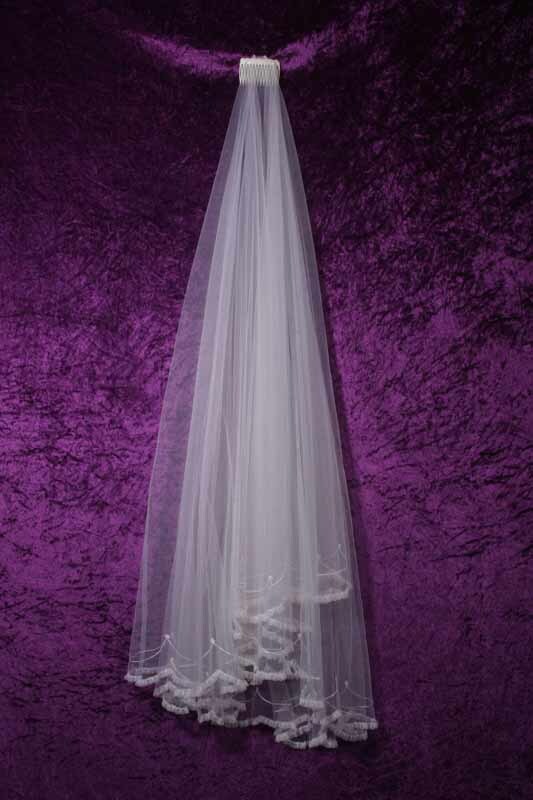 Full ivory standard fingertip veil with embroidery. 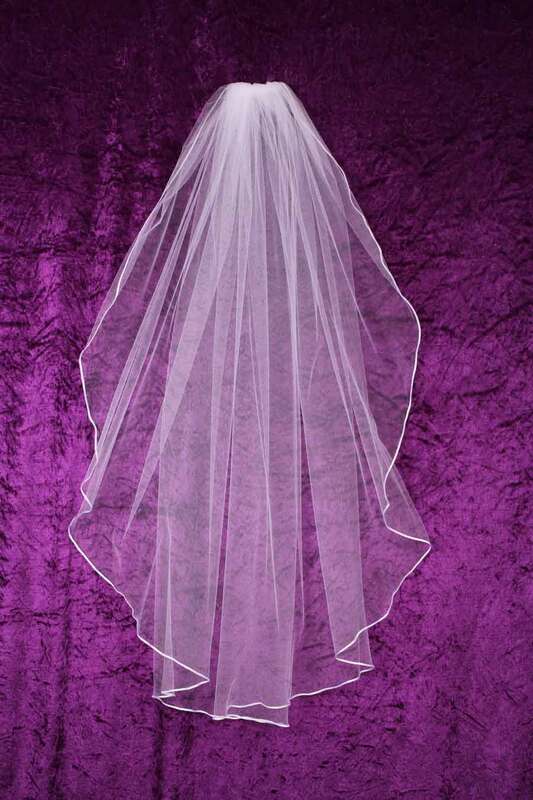 Romantic Two layer Filigree veil with Swarovski diamontes.